Who doesn’t love coffee? I know I do! However, there are some really great health benefits of coffee that you may not be aware of. That’s why I created this list to show you that drinking coffee can help you achieve a healthier lifestyle. Are you ready? Let’s dive in! All these antioxidants combat inflammation which results in a lowered risk of developing a variety of diseases (including cancer). On top of that, they regulate insulin levels. Having a healthier amount of insulin leads to a lower amount of uric acid, which is the lead cause of gout. Coffee is a wonderful way to start your morning. Have you ever noticed that most weight loss pills contain caffeine? That’s because it’s an incredible weight loss aid. It can boost the metabolic rate by up to 11%! Caffeine interacts with your nervous system and causes it to send signals to your brain to break down stored fat for energy. 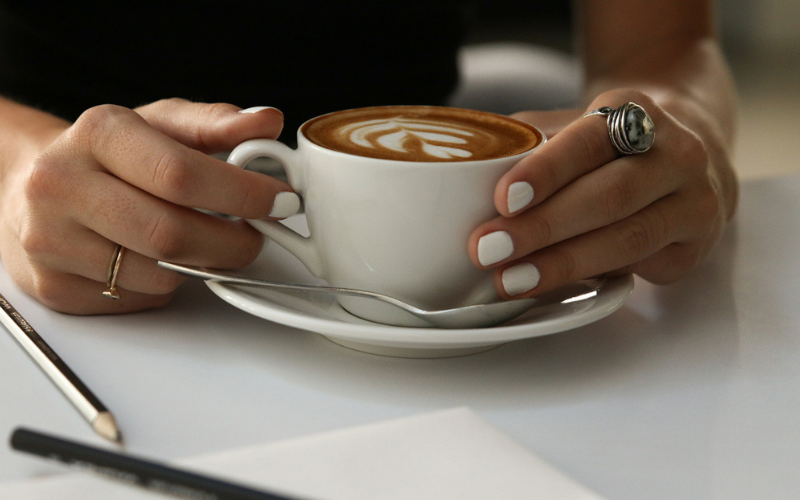 As if that wasn’t enough, coffee increases production the fat-burning hormone known as epinephrine. Who would have thought something so yummy leads to weight loss? Obviously, caffeine would no doubt push your energy level through the roof. However, this amazing drink also strengthens muscle contractions leading to greater results. It often changes the person’s perception of pain which allows the exerciser to push themselves further. Endurance levels spike because it releases fatty acids in the blood that support it. The usual recommendation is to drink coffee 30 minutes before your workout. Although that’s a great idea, consuming this beverage afterward can reduce post-workout pain by up to 48%! Adenosine is an inhibitory neurotransmitter that promotes sleep and decreases alertness in humans. By blocking this substance out, we can improve our brain function. These things include energy levels, memory, vigilance, mood, general cognitive, and reaction time. Wow! That’s a lot of brain capacity that was previously cut down! Certainly, if you have a job or some sort of project to do coffee can assist you in achieving your goals. How cool is that? This awesome beverage can assist you to decrease your risk for developing all sorts of diseases! Since so many drinks can increase your risk of diseases, it’s great to know there’s something out there able to do the opposite. Take a look at the illnesses that can be prevented by regularly consuming a cup of coffee. More than 400 people worldwide suffer from Type 2 Diabetes. Studies show that regular coffee drinkers can have as high as 67% reduced chance of developing this horrible disease. Alzheimer’s is currently the #1 most common neurodegenerative disease. It’s an awfully heart-breaking disease. Although there is no cure, it can be prevented. Multiple studies indicate that those who consume coffee are at a lower risk of the disease than non-coffee drinkers. Some people have up to a 65% less chance of catching the disease. This news is so mind-blowingly awesome. My grandfather had Alzheimer’s before he passed away and normal functions for him were almost non-existent. He slowly forgot how to do everything, including talking. The only memory that remained was how to eat. The man he once was disappeared a little bit every day. Like I said: utterly heart-breaking. Another person who had dementia before passing was my grandmom. She couldn’t even remember her children toward the end. As a mom, I can’t even fathom how horrible this disease is. The poor victim has trouble recognizing her own kids. This disease is up there with Alzheimer’s. Right now it’s the #2 most common neurodegenerative disease. Once the dopamine-producing neurons in your brain die off, it results in Parkinson’s. You can expect a decline in your chances of developing Parkinson’s to shoot up to 60%. That’s huge! However, this does not apply to decaf coffee. It seems to be the caffeine that works for this. Originating in the liver, drinking coffee on a daily basis can decrease your risks by up to 80%. Certainly, your liver will thank you in the long run for partaking in such a healthy consumption. Drinking this beverage causes dopamine to be released. Plus, it improves your functionality by increasing short-term memory and concentration. Depression affects more than 300 million people worldwide. Unfortunately, I was a victim of its dangerous mental grasp. It’s not a game or a joke. Suicide is the tenth highest cause of death in America. If you’re struggling with suicidal thoughts, don’t delay and please call the suicide hotline at 1-800-273-8255. As you can see, there are many health benefits of coffee and plenty of reasons why you should drink a cup daily. Do you love coffee? Please tell me which one is your favorite. The Daniel Plan Will Change Your Life Forever! I LOVE coffee—but not the caffeine. I drink decaf—I wonder how many of the benefits are available in decaf coffee?